Snark: Being a True History of the Expedition That Discovered the Snark & the Jabberwock & its Tragic Aftermath by David Elliot. The story of the expedition to find the Snark as told by the Boots. Includes Carroll’s poem, with lots of surrounding text and illustrations. The surviving explorers go on to find the Tulgey Wood and the Wabe, and then the Jabberwock, before facing the terrible possibilty of bringing a Boojum within reach of civilisation… for the Snark was a Boojum, you see. Gabriel Clutch was a thief and a liar but he was right about one thing. He told me he had a great secret in his collection that would shake the literary world to its roots if it ever got out… So begins the delightfully dark Snark, a tumultous romp through worlds created by Lewis Carroll and here brought to life through the vivid imaginings and fabulous art of award winning author and illustrator David Elliot. What exactly did happen to the Snark expedition? 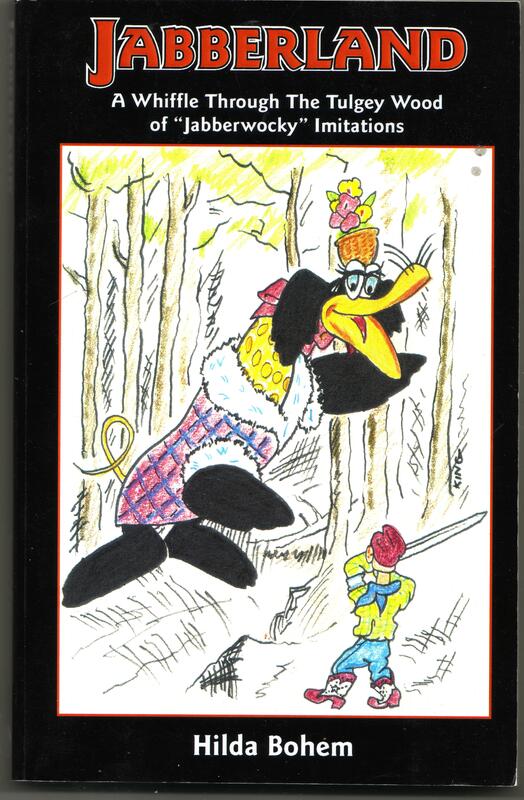 Did his dagger-proof coat protect the Beaver from the Butcher? What befell the Boots in the Tulgey Wood? Who fell foul of the Jabberwock? The Bandersnatch? The Jub-Jub Bird? And, finally, the big question: what precisely is a SNARK? David Elliots hero, the Boots, here reveals the whole truth for the first time, from his recruitment to the Snark expedition, to his return from a journey of unimaginable, death defying adventure … In this charming book for grown-up children of all ages, David Elliot is at his spellbinding and artistic best. There’s a lovely selection of back story and pictures on David Elliot’s website, and an interview with the author/artist here. 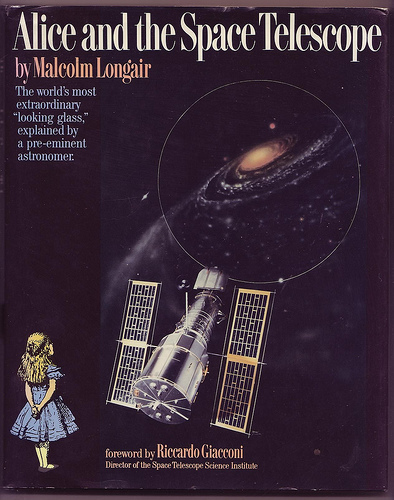 Alice and the Space Telescope by Malcolm Longair, with forward by Nobel Prizewinner Riccardo Giacconi. Published by The Johns Hopkins University Press, 1989. 4to hardcover with dustjacket. First edition. The book explains and discusses some of the things going on in astrophysics from the time of the launch of the Hubble telescope, and yet still manages to be funny at the same time. It makes me think of The Big Bang Theory. I wonder what Sheldon would make of it? Twas brillig and the slithy toves/Brought plans of telescopes fair to see./ The Jabberwock, he clapped his hands/And said, ‘That’s just for me. Loads of pictures- some of Tenniel’s, various graphs and scientific diagrams, and photos. Available via amazon: Alice and the Space Telescope , but mine was a present. Thanks Iain! Jabberland: A Whiffle Through the Tulgey Wood of Jabberwocky Imitations: Compiled by Hilda Bohem and edited by Dayna McCausland. Published by The Battered Silicon Dispatch Box/ Lewis Carroll Society of Canada. 2002. Paperback. My copy is inscribed by the editor: ‘To Carolyn, remember the golden afternoons of Oxford 1998 Dayna McCausland’. There’s also a letter from the editor to the same Carolyn giving some information on the compiler.